​The original Dining Hall floor that was installed in 1968 has been showing it's age the past several years. First the edges of tiles started to pop up, then entire tiles started coming loose. Initially the tiles could easily be glued back down in a temporary fix until there was a good time to replace all the flooring. 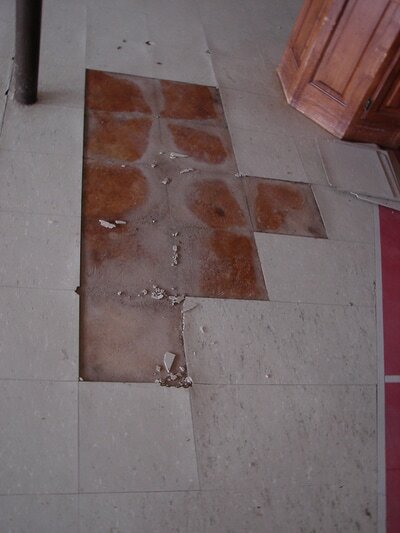 But then a few tiles started to crumble around the edges and break off, then whole tiles came loose in pieces and were unable to be re-glued ...and then there was more. 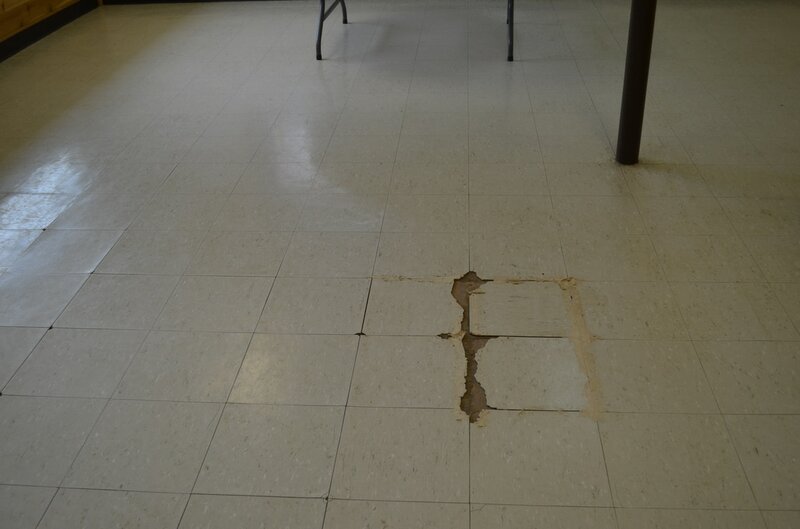 This past January more and more tiles were affected in the main pathways of the Dining Hall, crumbling and breaking apart creating a tripping hazard. That combined with the fact the floor was no longer able to be waxed and buffed to keep the floor in good condition ... something needed to be done. 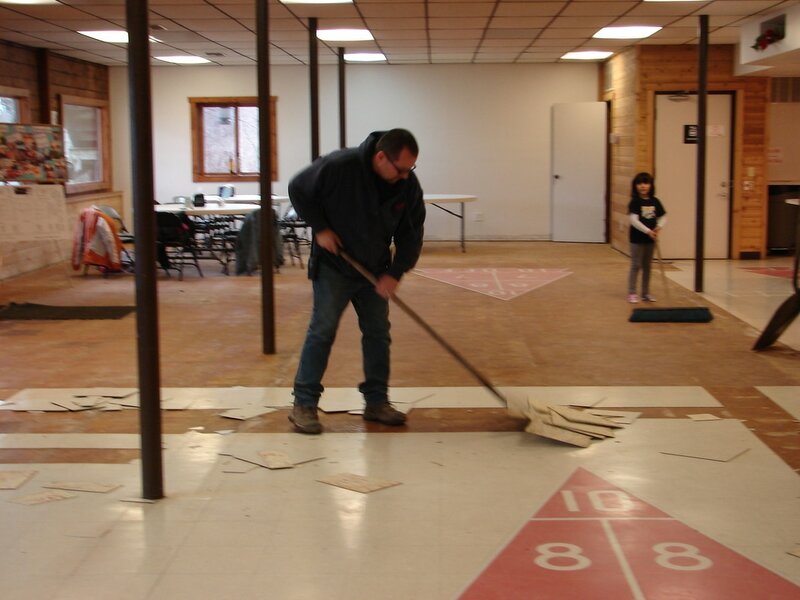 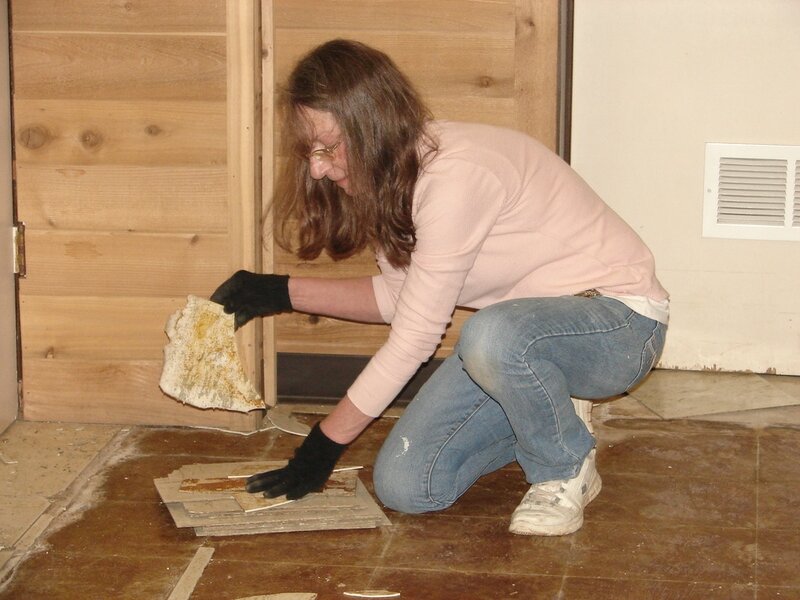 While we would have preferred to wait until the Oak Lodge Renovation fundraiser was completed, we needed to take care of our guest groups by taking care of the floor. 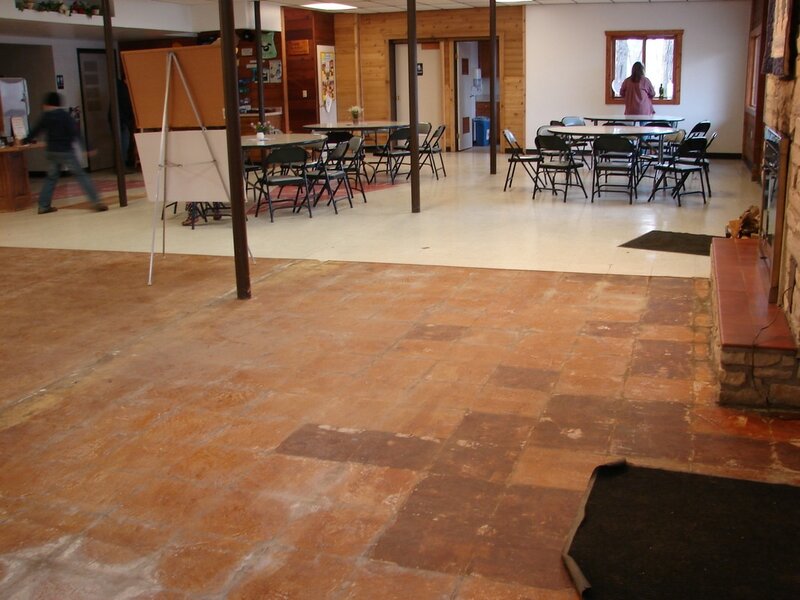 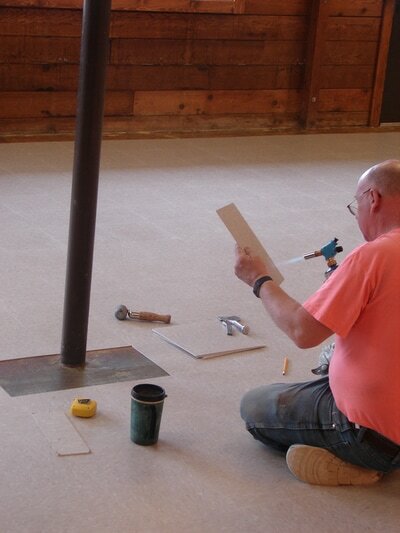 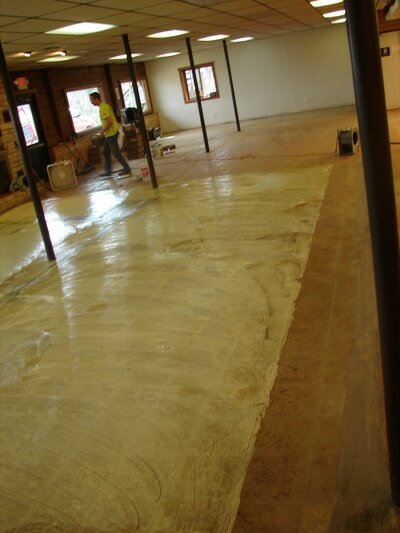 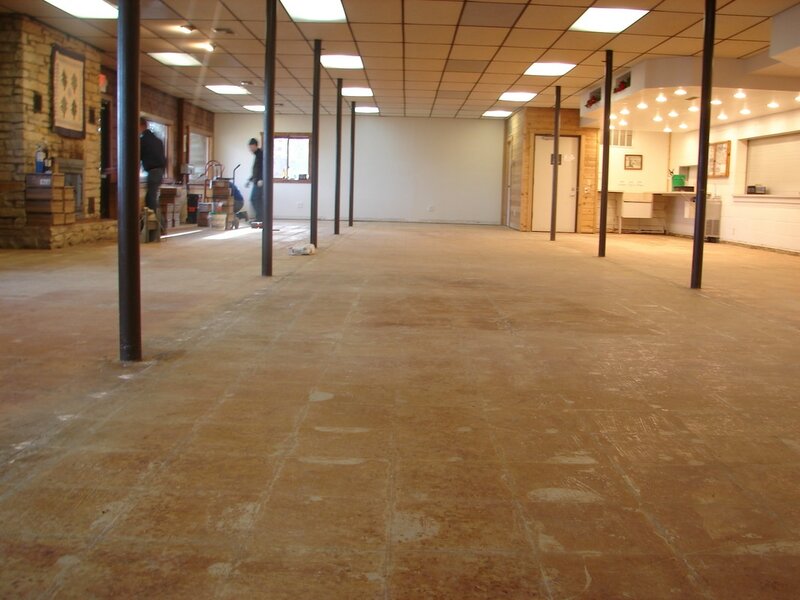 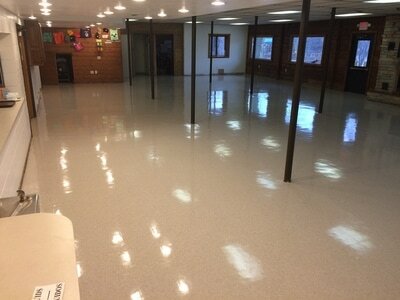 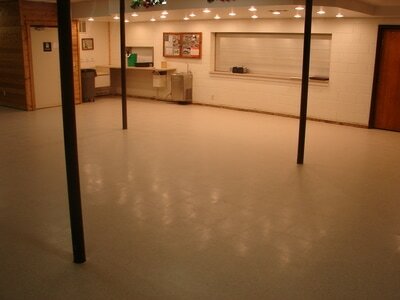 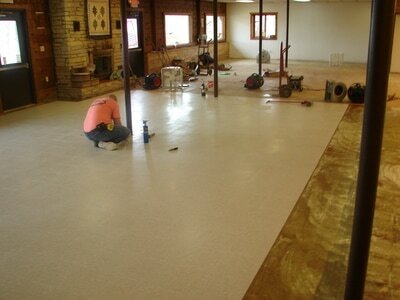 ​If you look at the before and after pictures - there is something missing from the new floor. 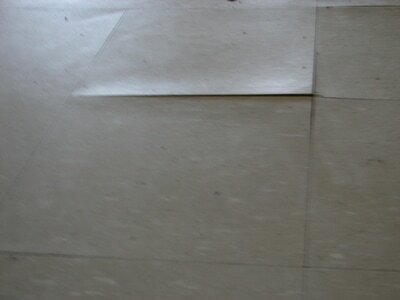 Can you figure out what it is?? The old flooring took about 4 hours to pop up all the tiles and clean the area. 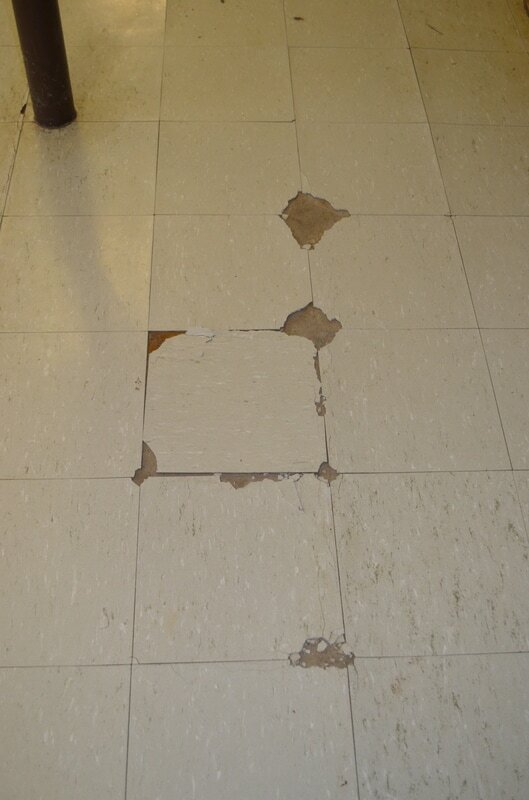 The glue was so old most of the tiles just popped up easily. Thanks to several men from Hopedale Mennonite Church who stayed after an IMC event to help! 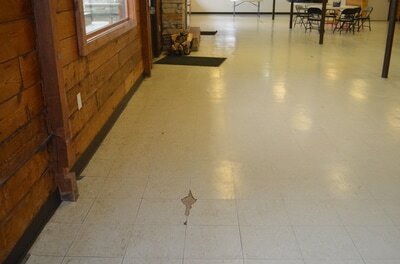 New tile was laid and is beautiful. 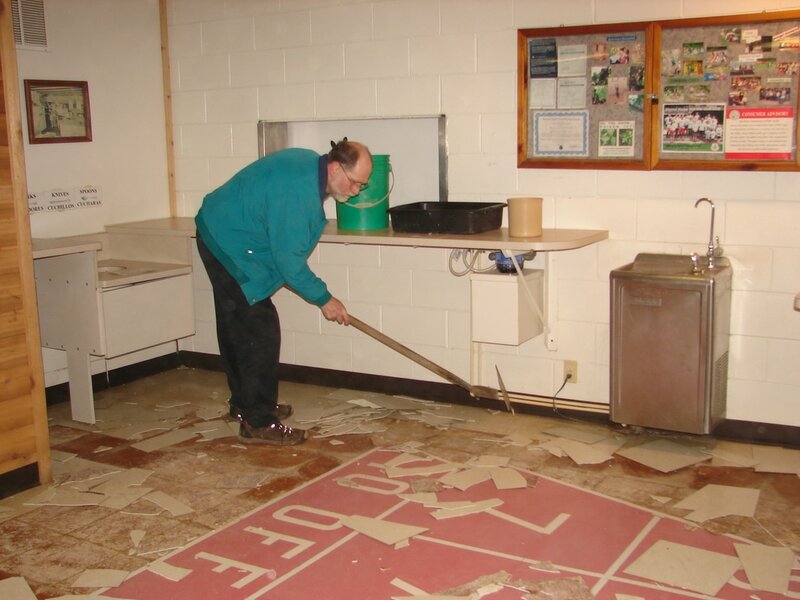 While we are glad to have a new floor, it does come at a financial cost....right around $10,000 for new tile and baseboard, to lay the new tile, to wax the floor, as well as purchase a new counter and cabinets for the drink stations. 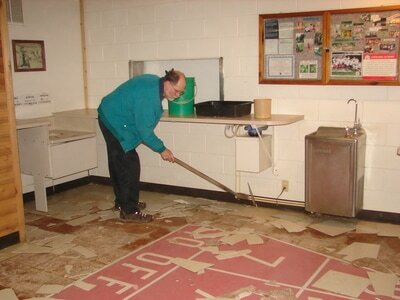 This was not in the planned expenses this year. 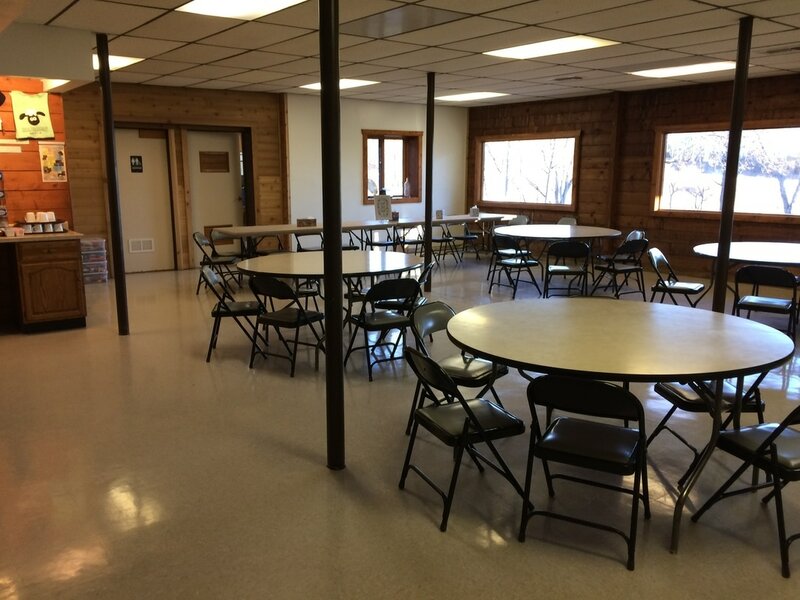 If you feel like giving towards this project, please contact Rebecca Moyer, Interim Executive Director, by email at doc@mennohaven.com or calling the office at 815-646-4344, ext. 25. And did you see what's missing? 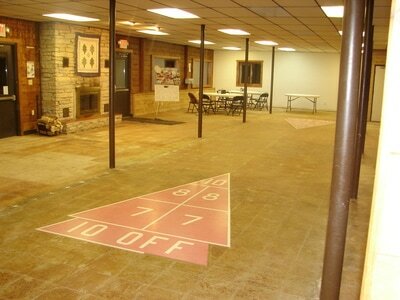 The two shuffleboard courts, that's right! ​In the late 1960's when the floor was put in, the dining hall doubled as the activity area. 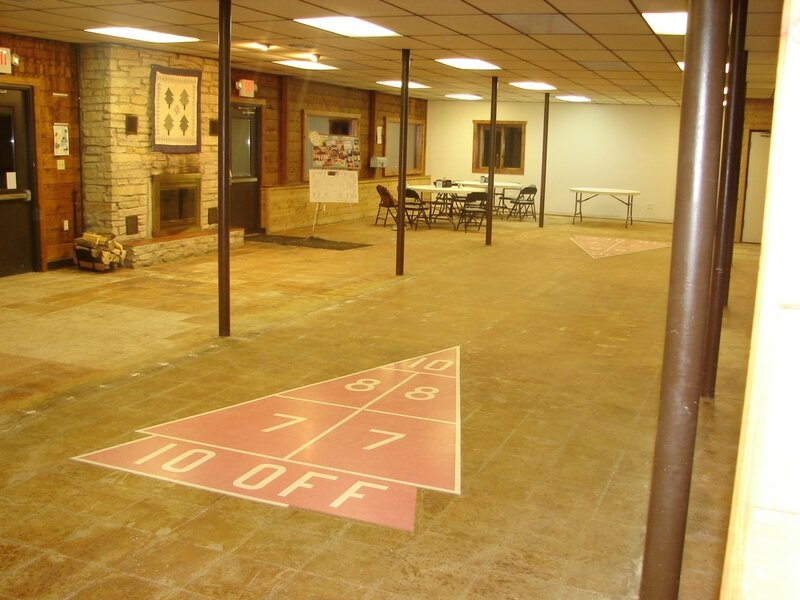 Now that we have the Eagle Wing Activity Center, that area is used for activities and the dining hall is used for dining so we were able to take the shuffleboards out. While there is a twinge of sadness for history sake, the new floor really dresses up the dining hall area.